Admission: Adult £5 Child (14 and under) Free Concessions £4 Cash Only! Opening Times: Next opening dates start in April 2016. Few and far between, so worth watching out for! Bury Bowl is a well established 12 lane ten pin bowling centre in Bury St Edmunds. We have been established 22 years and provide a relaxed atmosphere and a fun bowling experience. We have a fully licensed bar and restaurant along with fun arcade games and pool tables including an American pool table. Play is an essential part of every child's life and is vital for their development. Through play, children learn about themselves and the world around them. The play facilities in Ipswich have been designed to encourage a child's physical, social and creative development. Children's indoor adventure play area includes an undersea world inflatable, galleon treasure island trail, ball pools and an abundance of soft play toys. Kentwell Hall is a stately home in Long Melford, Suffolk, England. It includes the hall, outbuildings, and a rare breeds farm and gardens. Originally opened in 1933 by Sir Billy Butlin, and run by the Manning family since 1946, the amusement park has been entertaining families, holiday-makers and day-trippers alike for almost 80 years!!!! something for all the family, from little ones to big kids at heart. Follow us for all the fun. Admission: Adults £5.50 Kids £4.50 First game prices, multi game discounts apply. Opening Times: From noon daily until late. Beach Type Sand/Shingle	Facilities Toilets Shops and cafes Pier Disabled access Lost child centre and first aid (with lifeguards) Activities Amusements or fishing on the pier Bathing or watersports such as windsurfing or jet-skiing Nature and Wildlife There is a promenade. Giggle Factory Indoor play centre where there is attractions and indoor adventures with slides and a toddlers area. What was it like in early Anglo-Saxon times? Perhaps we will never really know. At West Stow you can walk in the footsteps of our ancestors, explore their homes, see the evidence for yourself - then make up your own mind. Don't wait! Come to WildTracks and have.... a karting grand prix - a quad safari - an off road driving lesson - a barbeque - be Robin Hood - fire a crossbow - rescue a VIP - learn a new sport - discover a new talent - capture the flag - park a hovercraft - hit the bulls eye - land a fish - but most of all .... have fun! A full list of children's attractions and tourist information for days out in and around Suffolk. Welcome to the awesome county of Suffolk in the EAst of England with a great coastline for funtime on the beaches and swimming in the sea. If you need child friendly ideas or where to take the kids, kids days out for fun things to do with the kids in and near Suffolk then we can help. We have family pubs with kids play areas, soft play areas, indoor play areas, outdoor play areas and playgrounds, aquariums, castles, stately homes, children's clubs such as Scouts, Cubs, Beavers, Brownies, Guides, youth clubs, activity centres, Air, Sea, Army Cadets. We list children's entertainers in Suffolk if you are planning a birthday, cinema, theatre, petting zoo, animal farms, children's farms, leisure hire, museum and art gallery, nature areas such as parks, and countryside walks and beaches. We have kids activities related to outdoor pursuits and sports such as swimming, ice skating, ten pin bowling and football centres. We list theme parks and Adventure Parks, advernture farms in and near Suffolk. If you are looking for zoos with more exotic animals then we have them also, all in all we can find you a free day out for the kids to get them off that sofa and out and about enjoying themslves. We now list seaside towns in and near Suffolk, so grab your bucket and spade and head for the Suffolk seaside with the kids. We have days out with the kids in Suffolk in and near :- Acton, Aldham, Alpheton, Beccles, Bungay, Bury St. Edmunds, Felixstowe, Haverhill, Ipswich, Lowestoft, Mildenhall, Newmarket, Stowmarket, Sudbury, Woodbridge. 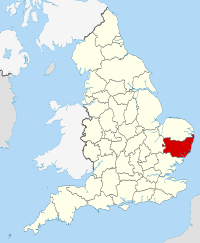 Suffolk is a large historic and modern non-metropolitan county in East Anglia, England. It has borders with Norfolk to the north, Cambridgeshire to the west and Essex to the south. The North Sea lies to the east. The county town is Ipswich, and other important towns include Lowestoft and Bury St Edmunds. Felixstowe is one of the largest container ports in Europe. The county is low-lying with few hills, and is largely wetland habitat and arable land with the wetlands of The Broads in the North, and the Suffolk Coast and Heaths is an Area of Outstanding Natural Beauty.